Image found on Pinterest. 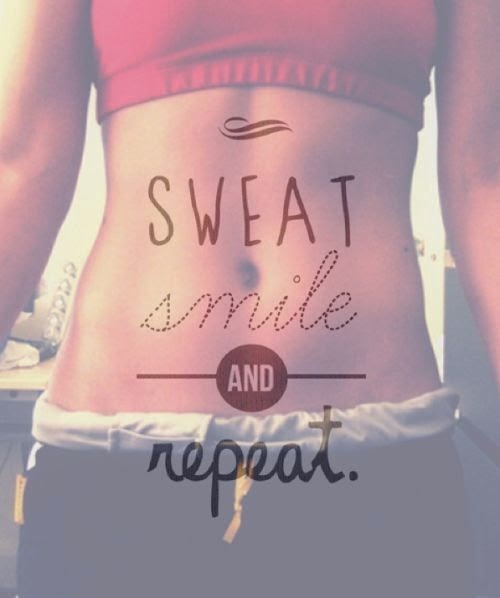 I love Fitspo. 3. Peach Iced Lemonade from Costa. So refreshing & delicious. 4. Pulp Fiction. One of my favourite films so I was very excited to find it on Netflix the other evening. 5. Instagram! I am obsessed at the moment. You can follow me on @hobbitshairdye if you'd like. 6. Evenings spent sat in the garden with a glass of wine & a good book. 7. Peace & Quiet. Days when there is nobody in house. 10. Fitblrs. They get me all motivated & definitely make me work harder.